Naomi Nguyen of Wilsonville has two boys, a 3-year-old and a 6-month-old and she tries to spend the bearable morning temperatures at local parks and then hit the splash pads during the evening, spending the heat of the day indoors. "Most of the time they're (back) up the same day (but) it can be a little more challenging on weekends, depending on what staff we have working," said Ken Warner, West Linn assistant parks and recreation director, adding that the Tanner Creek splash pad closure was five days because staff had to order the part that needed to be replaced. "We get a couple of phone calls; (people) wonder why it's broken, just typical things that come in when things don't work. You just briefly explain that sometimes things break and we are doing the best we can." 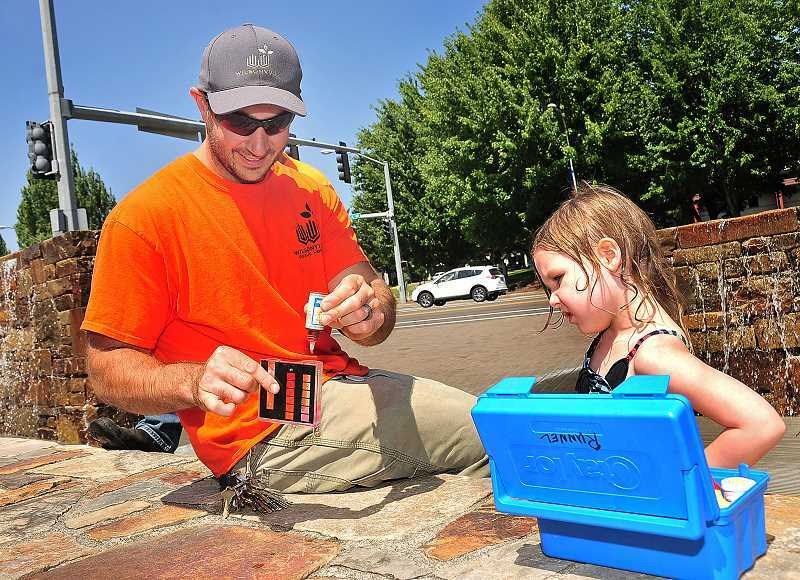 "The fountains are beautifully maintained, whoever is the primary caretaker does an excellent job," said Crumbaker Browning, who enjoys taking her five-year-old to Town Center Park. "It's a good option because at the park it gets really hot — you can hardly touch the play structures — it's not fun to go down a burning slide. (However) there aren't any decent shaded areas for caretakers to sit in. 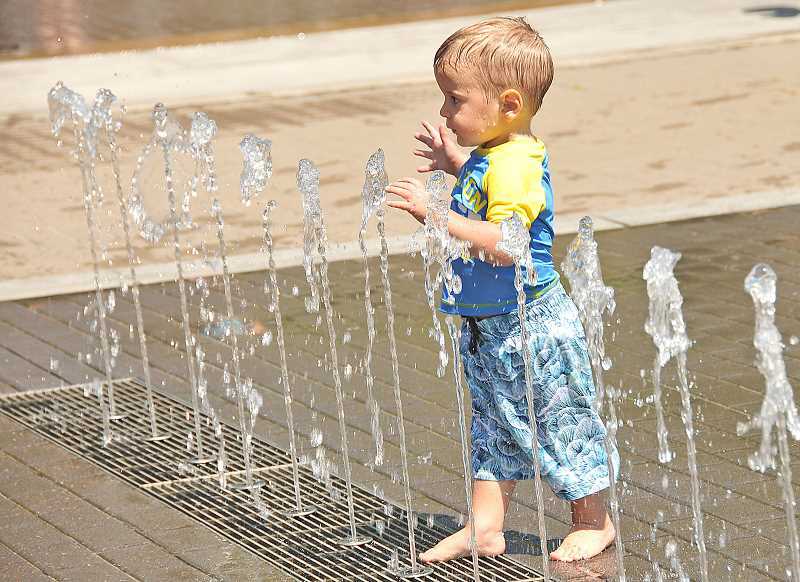 At the fountains, everyone can cool off, even though lack of shaded areas can be difficult."